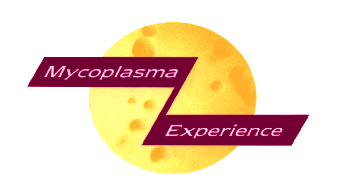 Mycoplasma Experience Mycoplasma, Ureaplasma and Avian liquid and solid media can be purchased in large volumes (over 1 litre) by organisations who prefer to obtain an external supply of high quality media for testing their products in their own laboratories. Click here for our contract growth media product guide. We accept media orders by email, phone or fax. Please include a purchase order for the media required. See our contact us page for details. 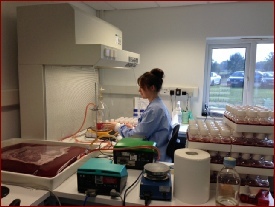 To enable adequate testing of Mycoplasma Experience media, microtitre trays containing 96 x 0.1 ml. wells of Frozen QC cultures (all low-passage) are available for our media customers. See here for details. With each tray issued, a Culture Data Sheet is supplied - see example of a M. arginini sheet. We are able to provide international delivery for media and employ several courier services to ensure that correct temperature control is achieved during international shipment. NB: The temperature during shipment may differ from the required storage temperature. This does not affect the product quality. Details on how to prepare our media for use can be found here.